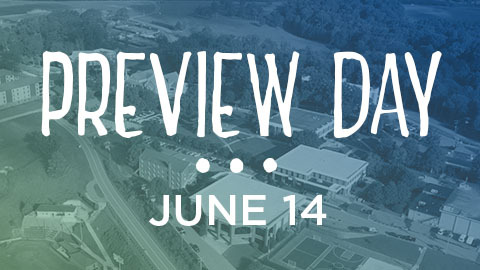 We are excited to welcome you to Southern Wesleyan University New Student Orientation on August 16, 2019. The purpose of New Student Orientation (NSO) and Welcome Events is to help you transition successfully to the Southern Wesleyan University community and get acquainted with campus resources and academics early in your college career. The NSO program contains welcome sessions, social activities, small group activities, SWU traditional events, advising and registration, and much more. Get ready for an amazing week you will never forget! You’re here! It’s time to unpack and get settled into your room. You will receive an orientation ticket prior to arriving on campus to let you know whether you are “cleared” or “not-cleared” to move in to the residence halls. Commuters! We are so glad you signed up for orientation. Commuter students arrive at 10:30am to finalize the registration process or show your cleared ticket to be directed to lunch. Cleared Students Move In -Show your orientation ticket upon arrival and you will be guided to move into your residence hall and meet other new students and families. Receive your final ID card and room keys. Un-Cleared Students- (Location: Founders Hall) Show your orientation ticket upon arrival and be guided to finish your registration process. Come and go to lunch between 11am-1pm. Lunch is included for students with ID cards and is $7.00 for guests or family members. Meet your New Student Orientation (NSO) leader and be introduced to faculty and administrators from your academic department. Students still exploring majors can gain helpful information about career and major exploration. Leaders and students will help you learn what it means to be a part of the community life and culture of Southern Wesleyan University. Have fun as your NSO leaders guide you through orientation day! 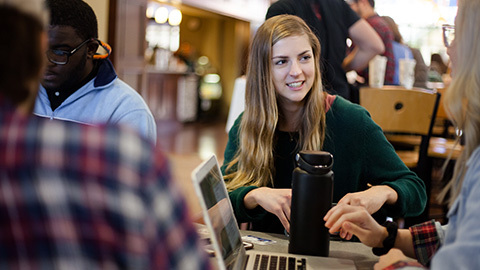 Commuters–(Library or Blue Hill) Learn how to get support, mentoring and engagement on campus. Parents and students meet back up to go to dinner between 5:00-7:00. Dinner is included for students with ID cards and is $8.00 for guests or family members. A special SWU tradition for families and new students that, will focus on the transition into a new educational and spiritual journey as an independent young adult. Your new SWU community will be there to welcome you and pray for you. Time to have some fun! Meet new friends and enjoy snacks and games together. Get to know your New Student Orientation leaders (aka your new BFFs). 8:30PM Parent Ice Cream Social – Blue Hill Coffee & Tea Co.
Parents meet with University President Todd Voss and Cabinet Members for a question and answer time with desserts and a celebration of successfully navigating the first day Orientation. Meet with local churches and ministries to see how you can get connected. Join the party and meet new friends, as we celebrate your new adventure in college life at SWU. Bring a blanket or lawn chair and enjoy a movie under the stars.